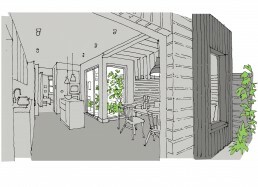 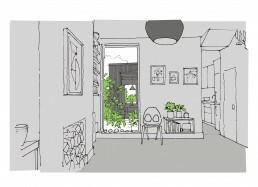 Side extension to a Victorian terraced house to create a new kitchen and dining room, WC and courtyard garden. 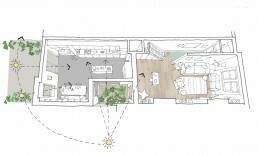 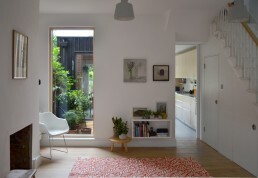 The small south facing courtyard brings light and air to the heart of the house as well as creating a green focus connecting the living areas with the garden beyond. 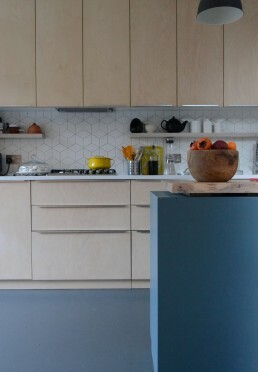 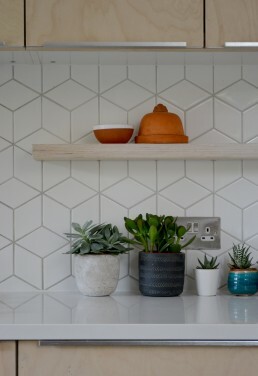 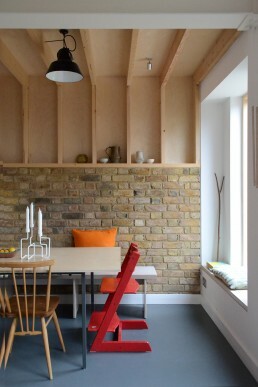 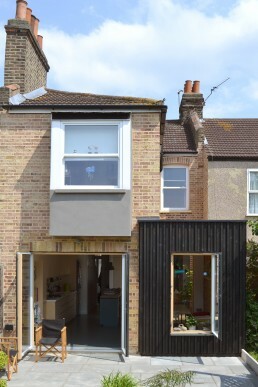 The extension itself measures a modest 7sqm but along with careful remodelling of all ground floor areas it completely transformed the Victorian house’s function as a family home. 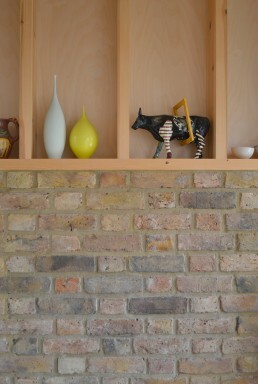 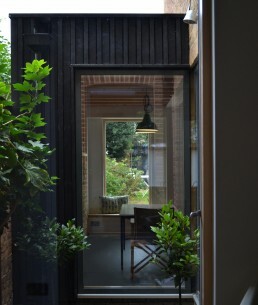 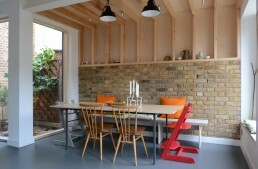 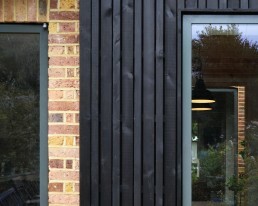 The extension is clad in black timber, a striking modern addition to the London stock brickwork of the house.